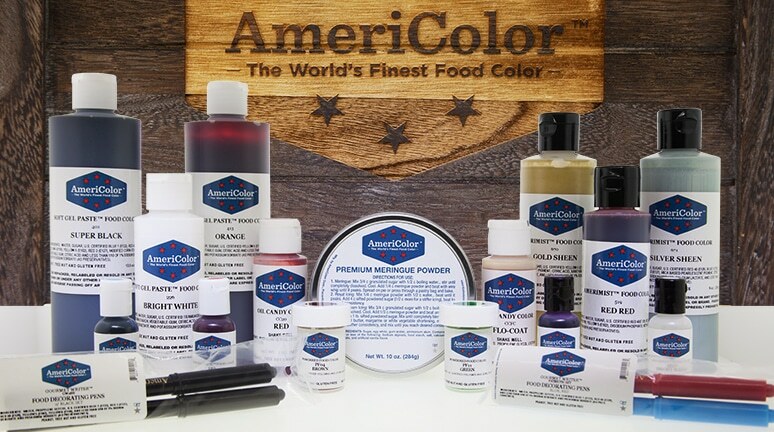 Now Selling Directly To Cake Supply Shops – AmeriColor Corp.
At AmeriColor, we’re always looking for new ways to better serve our customers. We can create new colors and products, but that doesn’t help if our products don’t reach our customers. To make it easier, we’ve decided to make some changes to our sales structure and channels of distribution. On February 6th 2017, AmeriColor will begin opening accounts with cake decorating supply shops. We see retail shops as representatives of our product and brand, adding valuable service and expertise for our customers. So, if you have a brick and mortar retail storefront and haven’t been able to buy directly from us before, now you can. Click here on February 6th to learn more!